This is a tale of two cities’ newspapers — Kansas City and Omaha. Although the Kansas City metro area has more than twice the population as that of Omaha, the Omaha World-Herald and The Kansas City Star sell about the same number of print editions each day. The World-Herald has average Sunday print circulation of 105,266, versus 115,205 for The Star. When it comes to average Monday to Friday circulation, however, the World Herald leads, with circulation of 82,954 to 72,369 for The Star. Question is: Given the size differential between the Kansas City and Omaha areas, how could the World-Herald possibly match up favorably in terms of circulation with The Star? I think there are two main answers. A high percentage of the Omaha area’s residents — about 50 percent — live in the city proper. In the Kansas City area, slightly more than 75 percent of area residents live in outlying cities, including those on the Kansas side. As of 2016, KCMO’s population was an estimated 481,000, while Omaha proper had an estimated 447,000 residents. Overall, the KC metro area has about 2.1 million people, compared to slightly less than 1 million for Omaha’s metro area. As in most metropolitan areas, the Omaha and Kansas City papers have had to retrench the last 10 to 15 years, and that generally has meant less coverage of the suburbs. As their delivery areas have shrunk, metro newspapers have also more tightly circumscribed their coverage areas, with the central city, in each case, getting the most focus. That being the case, circulation has held up better for the World-Herald because a significantly higher proportion of subscribers lived close in before retrenchment began. Kansas City, on the other hand, lost a much greater percentage of its subscriber base after cutting back suburban coverage. The World-Herald has long had another demographic advantage: According to Wikipedia, the paper for many years had the highest penetration rate (the percentage of people who subscribe to the publication within the paper’s home circulation area) in the United States. For many years during its long heyday, The Star was owned by its employees. That period lasted from 1926 — after the death of Laura Kirkwood, the daughter of KC Star founder and owner William Rockhill Nelson — until 1977. The Star then entered a period of corporate ownership that has seen the paper spiral downward. For 20 years, it had a good corporate owner, Capital Cities Inc., but then it fell to an entertainment company, Walt Disney, and soon after that to a once-strong newspaper company, KnightRidder, that began stumbling with the rapid shift to the internet. Finally, in 2006, The Star passed to the McClatchy Co., out of Sacramento, which paid an outrageous $4.5 billion (and assumed $2 billion in debt) for the KnightRidder newspapers. The downward spiral got especially bad after the McClatchy purchase, which coincided with the plummeting of print advertising at newspapers throughout the country. Although millions of readers around the country (and the world, for that matter) shifted from print to online, I believe The Star’s 1977 departure from local ownership hastened and intensified the paper’s falling fortunes. Over the years, and as the paper passed from one set of outside hands to another, the proprietary feeling that many people previously had about “their” Kansas City Star subsided. And along the way, they started dropping their subscriptions, first slowly and then in avalanche proportions. …The World-Herald, by comparison, has always been in local hands and Omaha residents have been amazingly loyal to ownership. Between its founding in 1885 and 1963, the World-Herald was owned and controlled by two families, first the Hitchcocks and later the Doorlys. In 1963, the heirs of those two families sold the paper to construction magnate Peter Kiewit. Before he died, Kiewit put in place a plan that resulted in employees owning a majority interest in the paper. That continued until 2011, when Berkshire Hathaway bought the World Herald and several smaller Nebraska papers for $150 million. 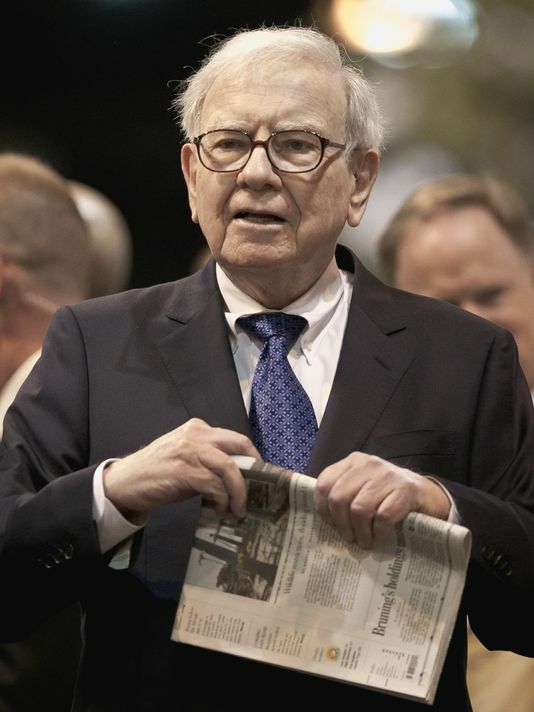 Berkshire Hathaway, of course, is headed by Omaha’s most famous and wealthiest resident, Warren Buffett. Buffett bought the paper even though he knew that newspapers were no longer a good bet. Since buying The Buffalo News in 1977, Berkshire Hathaway has accumulated a string of newspapers under its BH Media division. The division’s holdings include the Richmond Times-Dispatch and Roanoke Times in Virginia; the Tulsa World; and the Greensboro News & Record and Winston-Salem Journal in North Carolina. Partly motivating Buffett is a love of newspapers. In the case of the World-Herald, another factor was wanting to carry on Peter Kiewit’s vision of local ownership. 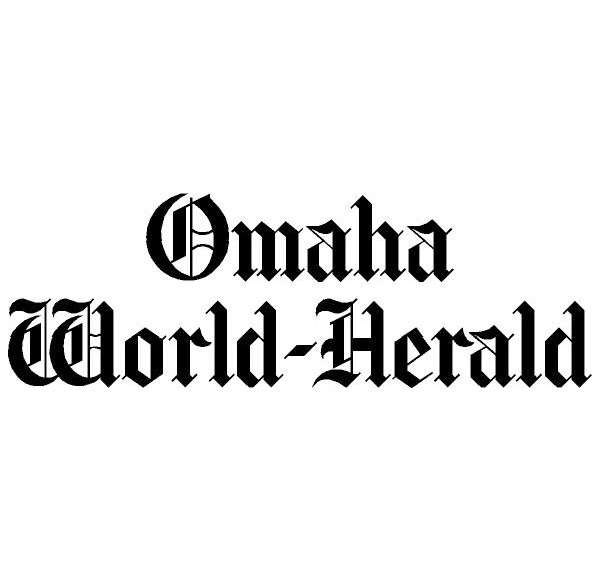 In the face of Buffett’s commitment to his hometown newspaper, Omaha residents have responded by continuing to subscribe to the World Herald in percentages far surpassing those in many cities where corporate raiders have moved in and laid waste. That is not to say the World-Herald has been spared the cuts that many major metropolitan dailies have experienced. Just three months ago, in fact, the World-Herald laid off 24 employees and announced a page-count reduction. The cuts included 11 newsroom employees. The good news, however, was that even with that reduction, the paper still has an editorial staff (editors, writers, photographers, graphic artists, etc.) of more than 100 people. The Star’s editorial staff, however, is well below 100. It could be below 50; I’m not close enough to know. What I do know is that the ax started falling in 2008 and hasn’t stopped. …In days past, the World-Herald was seen by some reporters as a training ground, or preparatory step, for going to The Star. That is no longer the situation. If I were a young reporter looking to the future, I would cast my lot with the World-Herald. I might look at it differently if The Star was in local hands. But as long as it’s in the clutches of hopelessly-in-debt McClatchy, no, I’d be heading north on Interstate 29. What attempts have been made to find a local owner for The Star? Who might be the best prospects? What about the creation of a local non-profit to buy The Star from McClatchy? Besides The Star’s relative profitability, why would McClatchy resist selling The Star? Has Buffett ever been approached to buy The Star? Why haven’t local wealthy individuals or businesses had enough civic pride and charity to purchase the paper before now, say in 2006? What would the sales price be today? Great questions, Vern…And if other readers are thinking along the same lines, I’m doing what I set out to do — start a conversation that could get The Star off the losing course its on. The first — and maybe biggest — impediment is that with The Star being McClatchy’s most profitable paper, the asking price would far exceed what the paper is worth. If McClatchy was of a mind to sell The Star, it would signal a willingness to sell more of its 29 dailies. McClatchy set the bar as high as possible for Property No. 1 as a measure of where to set the bar for subsequent sales. The Star’s sales price would set the standard. In addition, my fear, as I wrote recently, is that McClatchy won’t sell on a piecemeal basis, unless they can get more than a given paper is worth. More likely, they will wait for an offer from Gannett (even worse from the journalistic standpoint), or possibly another chain, and sell everything at once. Then Craig Forman, Mark Zieman, Elaine Lintecum and the other top execs can get their big checks, lock the doors and walk away — just like Tony Ridder, Art Brisbane and the other KnightRidder executives did in 2006, when they sold to McClatchy. I want a lot of people to start thinking about your questions, Vern…The thing is, where you and I can only, several people in Kansas City are capable of helping provide substantive answers. Sorry, I know this is a serious subject and those are all good questions, but that’s all I could think of. There was a paper out in western Kansas where the terminated staff created their own paper and went into competition with their former employer. With all of the journalistic talent floating around from The Star’s layoffs, why incur a mountain of debt when you could start from scratch and probably bury the current product. At this point, you’re almost assured to have more institutional memory. Go back to your first fact, Fitz. 75% of the population lives outside of KCMO, a crime-ridden mess. If you can’t change that, then nobody is coming to the rescue. Excellent compare and contrast, dissecting the difference between journalism as a community asset and lifeblood versus cynical commoditization of a former institution. Something else is happening, too, and you touched on it in mentioning the Star’s withdrawal from the suburban market. Suburban newspapers gobbled up by McClatchy (Lee’s Summit Journal, Olathe Daily News, Cass County Democrat Missourian, The Belton Star-Herald) have been significantly diminished, evaporated or been killed off by McClatchy. In their places are sprouting small, mom-and-pop newspapers. Some, like the North Cass Herald, are doing a nice job of filling the void. Others, not so much, run by non-journalists more intent on nursing grudges or fluffing egos. One The Star’s recent layoff victims, Tod Palmer, told me that between March 2008 and April 2009, when he went from the Olathe News to The Star’s sports desk, the number of staff members in Olathe plummeted from 54 to 5! on May 21, 2018 at 5:52 pm Thomas Shrout Jr. Shortly after Debra and I moved to LA in 2016, the LA Times sponsored a two-day seminar on the 100th Anniversary of the Pulitzer Prize. The panels were made up for the most part of former winners including Shirley Christian who won in the early ’80s on her reporting from Central America while working at The Miami Herald. She is long-since retired, but it came out in the Q & A her lament about her hometown newspaper The KC Star as she compares it to the Buffett-owned Omaha World Herald. She said she lived in Overland Park. Good to hear a Pulitzer Prize winner agrees with me on my comparison! FYI, a friend of mine read my piece about your Jimmy C reader who ended his Star subscription because $700 a year was too high. In it he saw that after letting mine lapse I was able to get them down to $129 a year for seven day a week print. Which made him mad. So he canceled his subscription, waited a day until the re-subscribe calls started pouring in, and got his subscription price down from $80 a month to $16 a month. Might be a viable alternative to your readers who don’t want to have to cancel to save $600 or so dollars a year. And how do their digital circulations differ? Page views, etc. it is 2018 not 2008. AAM figures for Q1 2018 have The Star with 1,444 digital replica and 6,533 nonreplica Sunday subscriptions. For daily, the count is 1,414 digital replica and 6,486 nonreplica. Looks like they’re both stuck in 2008 — maybe 2010 — on the digital front. The Star’s news staff stands at about 75 today. Good to know…Thanks for the information. That sounds plausible. Good to hear from you, Ann.